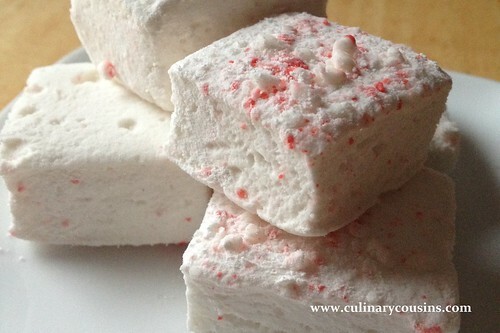 Something about this time of year makes me think of marshmallows. Really, it starts back in the fall with camping, fires, s’mores. Then winter brings hot cocoa and fudge. Or maybe it’s because this year I’ve heard the “It’s a Marshmallow World” theme song on Cooking Channel about 46,123 times since Thanksgiving — at least 84 times per hour.